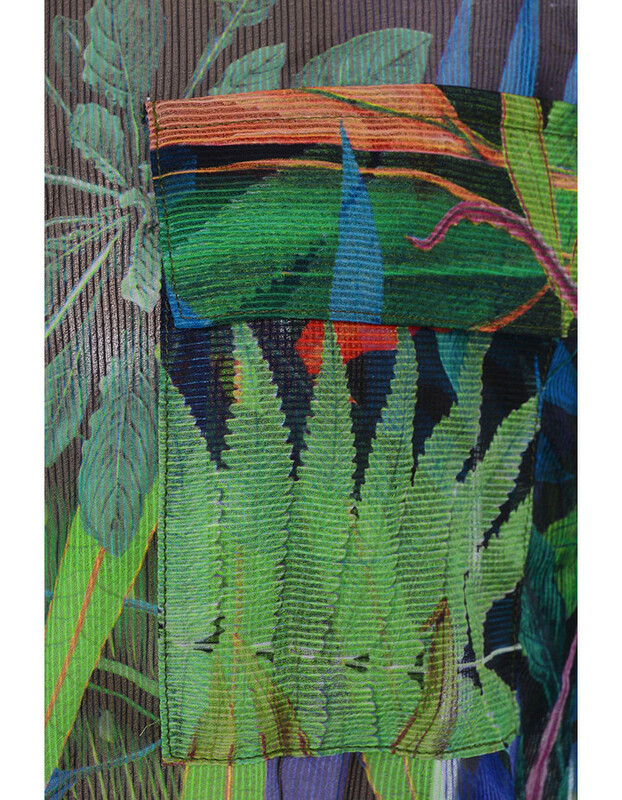 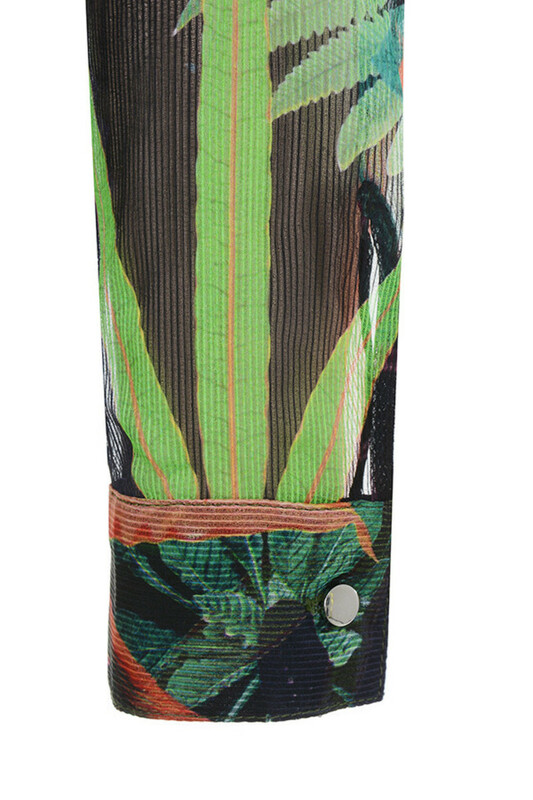 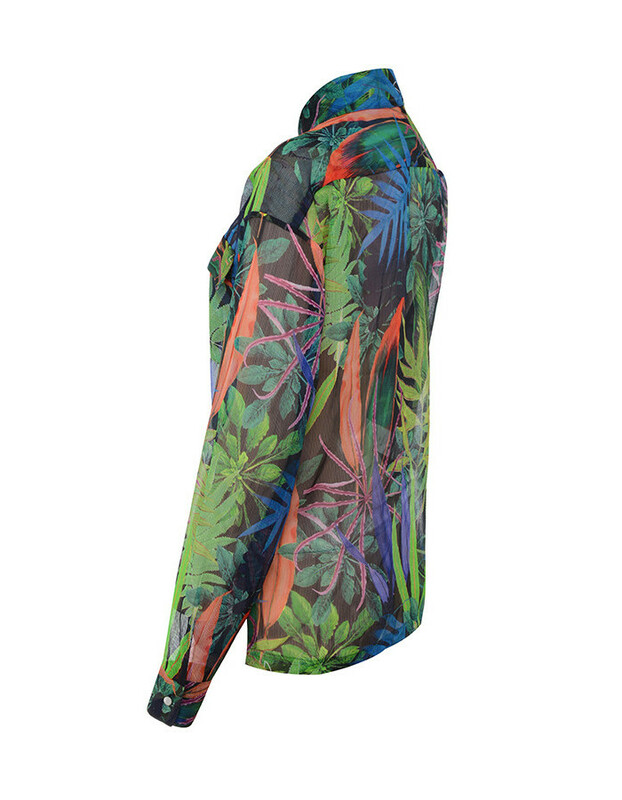 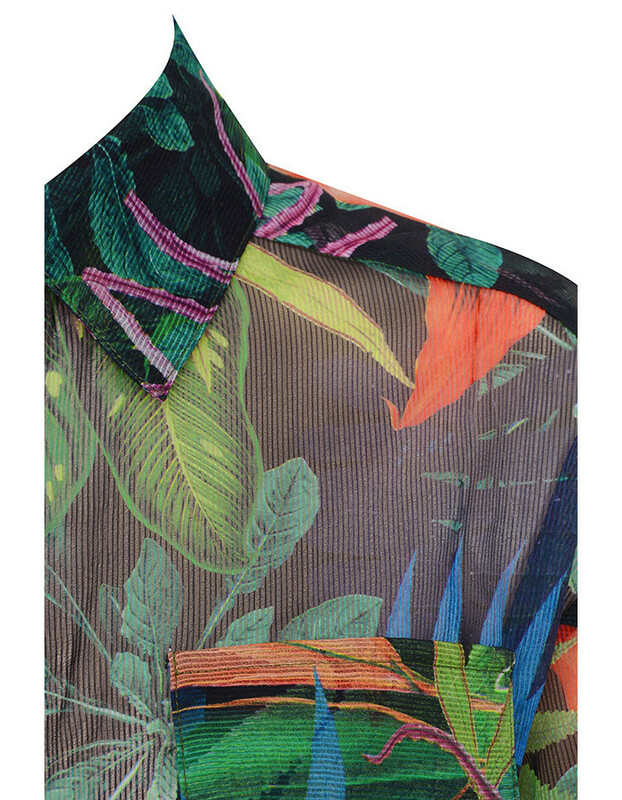 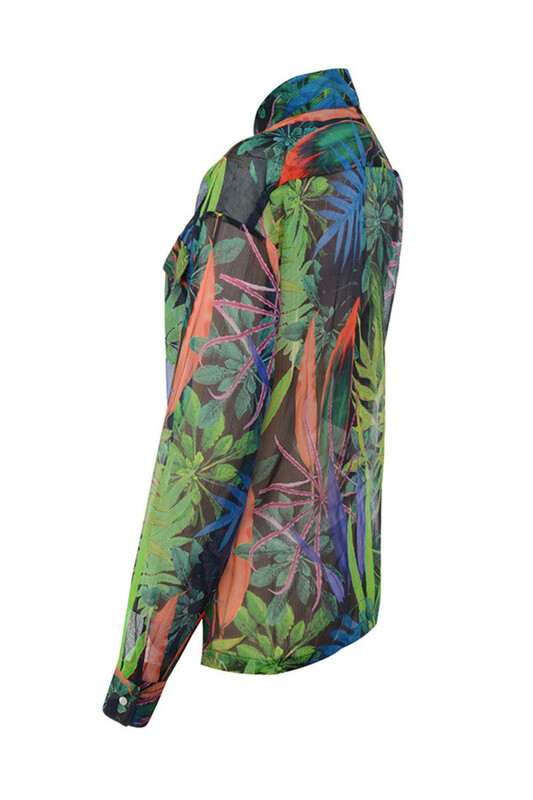 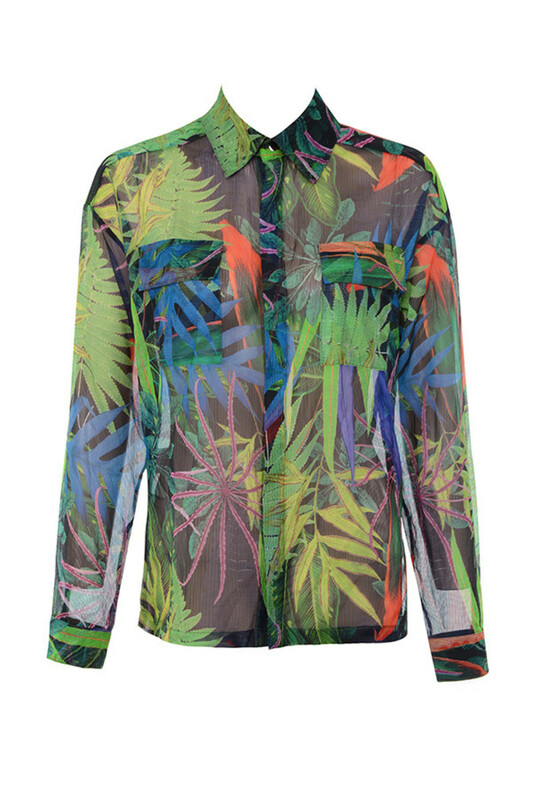 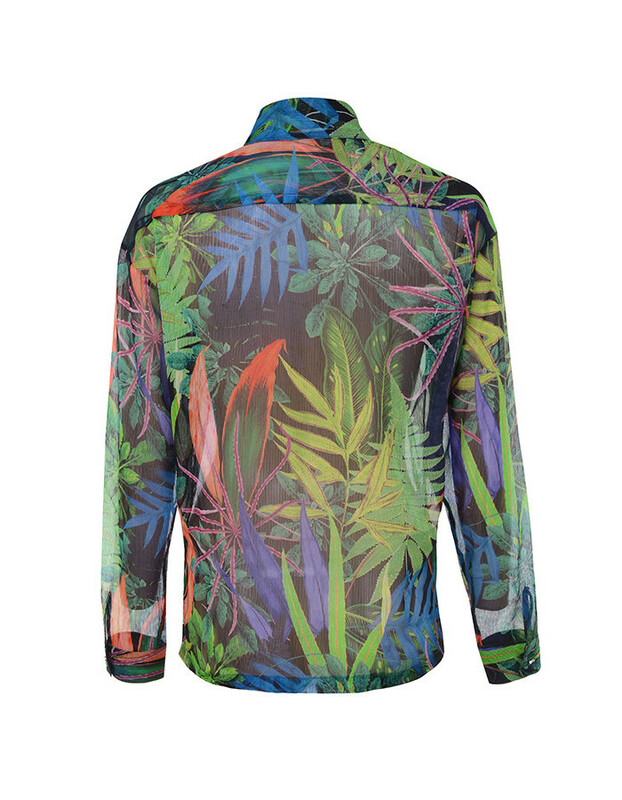 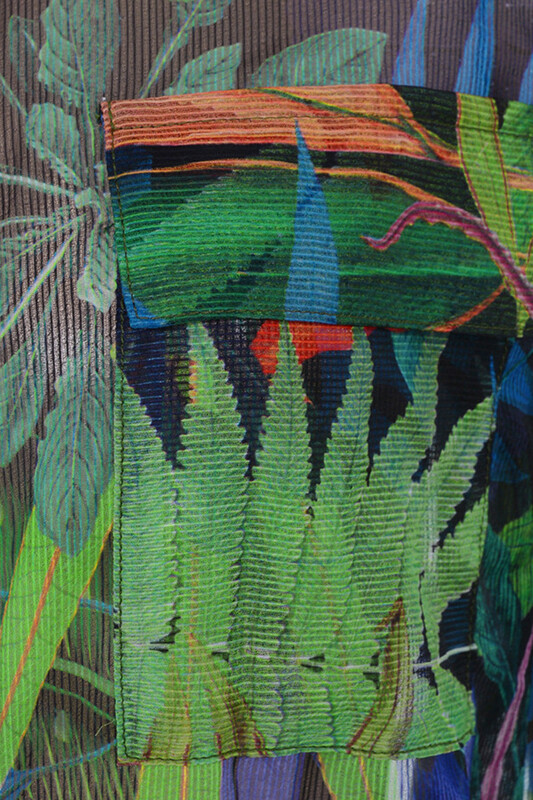 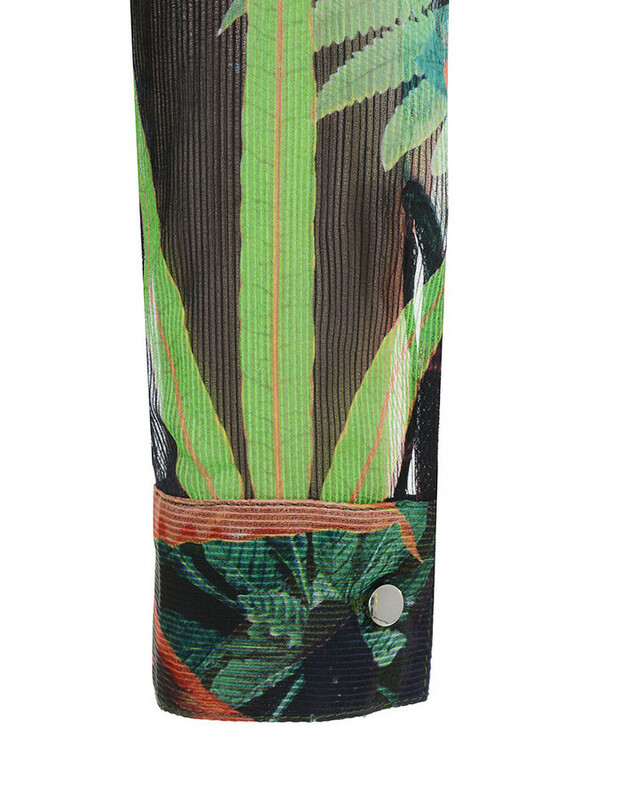 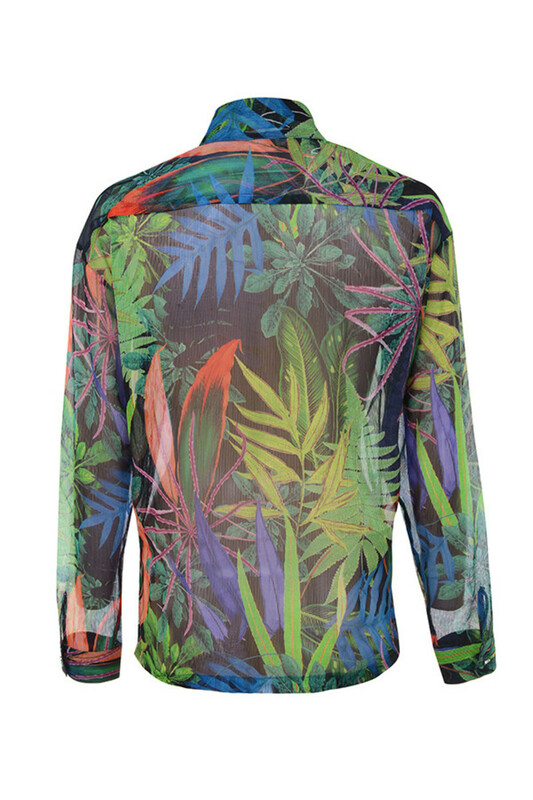 Island vibes are here with this gorgeously tropical shirt. 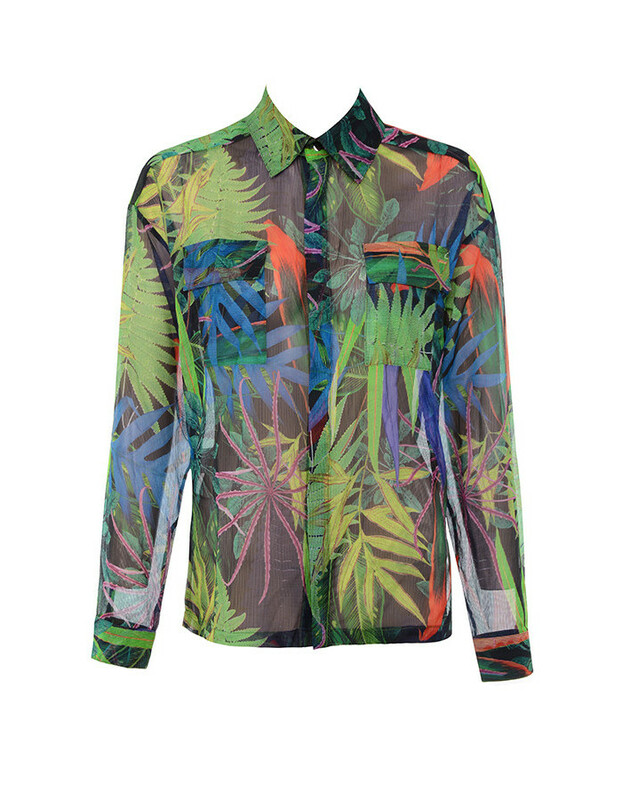 Crafted from a sheer chiffon, 'Militant' has a green tropical print, classic shirt styling, long sleeves and button front. 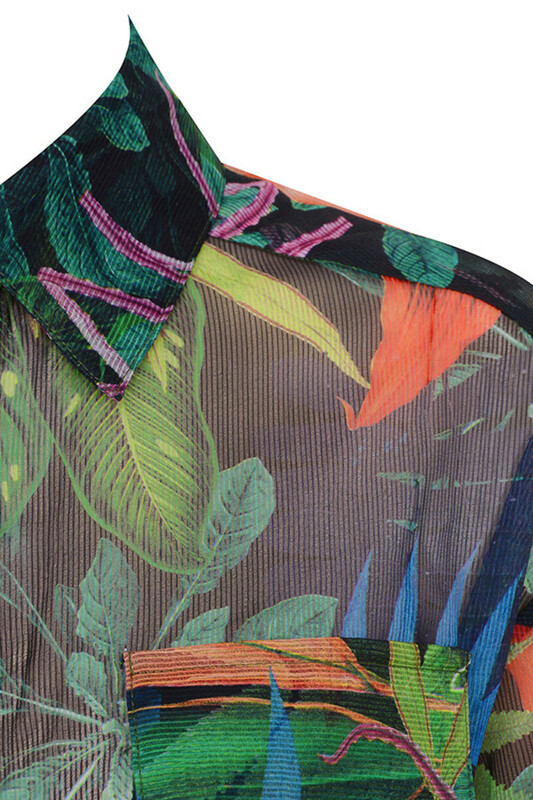 Wear yours over a bikini and denim cut offs.